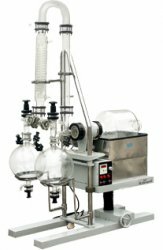 Scientific glass equipment mainly refers to equipment that is used in the laboratories and various companies dealing with scientific jobs and other research organization. Goelprocess manufactures all the laboratories glassware’s which are at their best. This equipment’s basically made of glass and much useful for various types of experiments in scientific fields.